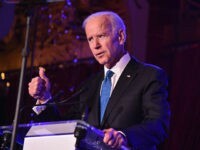 Brown made his pledge, quoted by the Silicon Valley Business Journal, after he failed to obtain the votes necessary to pass his draconian climate change bill, particularly a provision requiring California to cut oil use in half over the next 15 years. Conservatives have long alleged that the real purpose of Democrats’ “climate change” agenda is not to save the environment but to transform, and control, the economy. 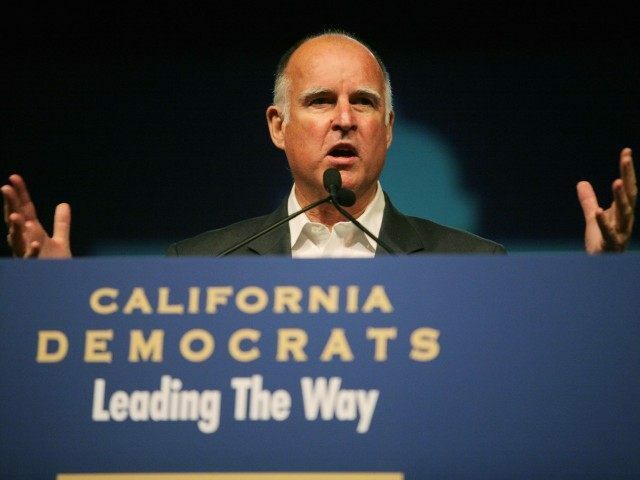 While he blames the oil industry, what really frustrated passage of Brown’s climate change legislation was huge opposition from the state’s employers, who warned that the legislation would be another job killer. In August, Brown had trotted out a number of progressive-leaning companies–led by Facebook, Apple and Dignity Health–to support a post-petroleum world as envisioned in Senate Bill 32 and Senate Bill 350. The legislation would have authorized the California Air Resources Board to create and implement regulatory enforcement to cut fossil fuel use drastically. The 50 percent reduction in petroleum use would not “statutorily” have been a mandated reduction of gasoline use. But the California Energy Commission website states, “Petroleum-based fuels account for 96 percent of the state’s transportation needs.” That meant consumers, and business owners, faced a potential crisis at the pump. Once a very large oil exporter, California now produces only about 37.2 percent of the petroleum it uses; spends over $60 billion for petroleum fuels; and has imported a majority of its oil from the Middle East for decades. The other bill, Senate Bill 350, gave the California Air Resources Board an effective “hunting license” to use its discretion to write any combination of regulations it believed would force half of the state’s electrical power generation to come from renewable sources, and to achieve a 50 percent higher energy efficiency standard for new buildings by 2030. Brown acknowledged that the opposition offered a compromise under which the petroleum use would remain in the bill, but the state legislature would have to retain oversight of all CARB’s major regulations and enforcement decisions. Yet according to the Silicon Valley Business Journal, Brown, Senate Leader Kevin de León, and Assembly Speaker Toni Atkins all refused to reduce CARB’s potentially open-ended authority. Despite checkmating Brown on what was considered the most egregiously expensive elements of the climate change bills, Ken Devore, a lobbyist for the California chapter of the National Federation of Independent Business, stated that his membership is still adamantly opposing the Governor’s climate change agenda. “Our members come at this from the standpoint that this would increase costs exponentially for them. They are still worried about the other two (parts) of the bill,” he was quoted by the Business Journal as saying. Governor Brown emphasized that he is not giving up his crusade for a new climate change standard and may take the battle to the initiative process.